Despite only joining the online casino industry in 2015 and now competing with big name players that boast numerous years of experience, 21 Casino remains one of the high-flying slots havens with a significant following in the gambling community. Some of the key reasons behind its success include its refreshing collection of modern games, generous bonuses, and a highly responsive customer support team. Sure, its interface may not be the best you’ll see this year, but please don’t let that dupe you into thinking that it’s a lo-quality online casino. We challenge you to give it a try and can bet that it won’t disappoint. While its management team, Imperium Network Solutions Limited Casinos, may not have an eye for attractive detail, it certainly knows how to welcome new members to the casino in style. Claim up to $/€300 worth of bonuses on your first deposit courtesy of the casino’s 121% match welcome bonus. A lot more await you once you’ve exhausted this offer and as long as you keep playing here. We decided to find out the factors behind 21 Casino’s rapid rise to prominence; we describe more in our unbiased review below. One of the most important features we look in a casino when reviewing it is the bonus it gives to new players, followed by the promotions and incentives it offers its existing customers. 21 Casino ticked most of our right boxes on this aspect. For starters, you get 21 free spins without deposit the minute you register as a 21 Casino player. These spins are eligible for playing one popular slot machine, The Book of Dead. You have up to ten days to utilize the spins after which they expire. Oddly, UK players do not qualify for this offer. If you want to learn more about 21 Casinos free spins you can check it here on our free spins review page! Once you’ve exhausted your free spins, 21 Casino is again generous enough to offer you a 121% match welcome bonus to the cash deposit you make to your account. However, to qualify for this, you need to deposit a minimum of $/€10 to your account. Besides, you can only get a maximum of $/€300 on this offer which also comes with a 35x playthrough requirements. Finally, take note that you have up to 30 days to make use of the bonus cash before it expires. Aside from the welcome bonus, 21 Casino also gives its players other lucrative goodies to die for. For example, there’s the Stairway Bonus which you can claim on the first deposit you make between Friday and Sunday. Deposit anything between $/€20-100 and claim 10-50 instant bonus spins to play on selected slot games including Starburst, Lights, Stickers, and Fruit Shop among others. In case you miss out on this offer, you can still obtain the Hangover Bonus every Monday and Tuesday. This offer is only valid for the first deposits on both days. The casino calculates 21% of the amount you deposit, and they award it to you instantly. However, it’s worth noting that the highest amount you can claim in in bonus is $/€210. Finally, the most appealing reward that 21 Casino gives comes with being a loyal player to them through the company’s generous Loyal Royalty program. Immediately you begin wagering using real cash on the platform, your loyalty points start accumulating. The amount of points accumulated for each stake made depends on the type of games you’re playing. For example, you collect 2 points for every $/€10 wagered and only 0.25 points for the same amount wagered on Roulette games. You can redeem your points for cash and other prizes offered by the casino with 1000 points being worth $/€5. For a business that provides its wagering services to the broader European community, it is only crucial that it avails a variety of banking platforms to its clients. 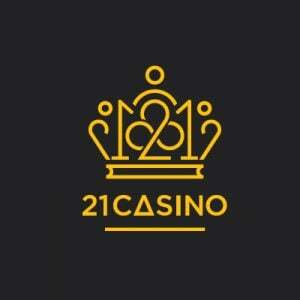 21 Casino is aware of this fact and the reason it offers various forms of money transfer options. Depositing money is a pretty straightforward affair considering that the cash reflects on your user account almost instantly. What’s more, deposit methods are functional all around the clock so you can deposit money whenever you want to play your favorite game. The following are some of the popular deposit methods supported by 21 Casino. Unlike the depositing process, withdrawals at 21 Casino have an entirely different procedure in regards to waiting times and limits of the amounts you can transact at an instance. For example, if using e-wallets, you’ll be required to wait for at least 36 hours before you can receive your winnings. In some cases, you may have to wait an additional 24 hours to allow the casino’s accounting department to countercheck your details and complete standard administration work before releasing the money. If you opt for other methods like Maestro or Visa, you may need to wait for up to 5 working days to get hold of your winnings. Also worth noting is that 21 Casino does not allow its members to cash out during the weekend. Besides, the minimum amount you can withdraw from your account is $/€10 while the maximum is capped at $/€25,000 in one week. These slot machines are powered by some of the most prominent gaming companies across the globe like Microgaming, Net Entertainment, Evolution Gaming, and NextGen Gaming among many others. What we liked about the selection is that each game comes with two versions, the real game and a demo. The demo games are meant for players looking for fun or want to practice and have a feel of what it feels like to play in an online casino. On the other hand, the real games are aimed at pro players that wager for real money and are looking to make profits by playing the games they like. You can try your luck on some of the most popular slots like Book of Dead, Mega Fortune, Arabian Nights, Cosmic Fortune, Starburst, Jungle Spirit, and Mega Joker. Take note that some of these are progressive slots that require you to place the maximum bet for you to take part in the competition for the highest prizes. For gamers that love to engage their minds in a little jog while playing, you can have a look at the vast array of table games availed by this casino. Roulette, baccarat, blackjack, and poker are a few of the games worth checking out when you need to try something else other than slots. 21 Casino also offers yet another top game for players that are not afraid to spend big as long as they can have a physical casino-like experience from the comfort of their homes. Friendly dealers conduct the gaming process in a very professional way, walking you through the rules, introducing other players in the game, and pretty much everything that live games entail. The live casino is supported by one of the most respected live games supplier on the continent, Net Entertainment. Play an array of games from several land-based casinos spread in different parts of the world here including live roulette, live baccarat, live blackjack, live keno, and live Texas Hold’em poker among others. Unlike the software-operated casino games, the live section on 21 Casino is reserved for members that are ready to spend real money; there’s no option for free gaming. As such, you may want to first acquaint yourself with your favourite games on mobile or desktop before joining the live casino family. 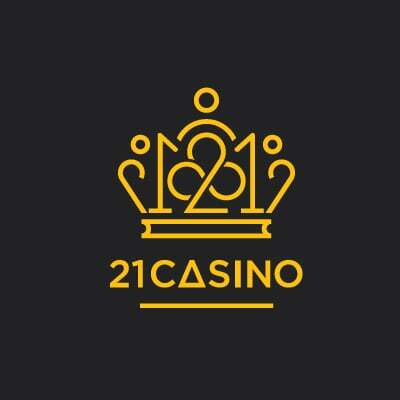 Being the modern platform it is and the fact that it is owned and operated by tech-savvy owners, 21 Casino runs a fully mobile optimized website supports mobile gaming. What’s more, the platform is compatible with a majority of smartphones powered by all the leading software providers like Android, iOS, Blackberry, and Windows. This way, you can play on the go and enjoy the casino gaming experience from whatever location you’re in. At a glance, we thought the mobile website looks more appealing to the eye than the desktop site. The combination of grey and gold colours seems to reflect better on the smaller screens. However, what impressed us the most about it are the many features and the range of filters that this casino makes available to its mobile users. You can claim all the bonuses, visit the cashier, and manage many aspects of your account on the site. However, on the flipside, we found the number of games to be quite limited especially when compared to the desktop site – we’d like to see the 21 Casino improve on this area soon. Like most reputable online casinos, 21 Casino takes the safety of its players very seriously. To begin, it has encrypted its platform with a 128-bit SSL encrypted software to deter any activities often propagated by intruders that are out to steal your personal data and use it for fraud activities. In addition, this casino has licenses from two of the most respected bodies in Europe to boost its trustworthiness. The UK Gambling Commission and the Malta Gaming Authority are the two entities responsible for ensuring that this gaming platform provides fair and optimal services to its players particularly in regards to the wagering terms and conditions. Besides, they help in monitoring different games stocked here to ensure they’re fitted with a RNG for fair play. In case a dispute arises between you and the 21 Casino, you can be sure that UKGC and MGA will follow up on the matter and solve it amicably. If you’ve been playing games online for a while, then you possibly know that there are days when nothing seems to be going right especially in matters of payments and provision of casino games. Nothing can be as frustrating as not being accorded prompt assistance when faced with such challenges at an online casino. Luckily, you don’t need to fret if playing at 21 Casino; here, you have at your disposal a dedicated customer support team that is available to speak to you 24/7 via a live chat function. Also, if you want a channel that allows for comprehensive communication e.g. when you need to provide evidence in case of a dispute, there’s a support email for the same. Unfortunately, this company is yet to introduce a phone support service – an area that we believe is among its biggest weaknesses. We can only hope that plans are underway as this is an integral feature for a casino whose major goal is to outshine the ‘oldies’. 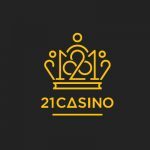 For an online casino that has been operational for just a couple years, 21 Casino seems to have put its best foot forward. We were impressed with the efforts and the strides it has made in setting up a responsive casino, the range of games available in its lobby, and the generous bonuses. However, we feel that the management can do better in increasing the number of games particularly in its live casino and also enhance its customer support by introducing phone support. Nonetheless, the 21 Casino deserves to enter the list of casinos we recommend to our visitors.